Dr.Manfred Gerstenfeld: Malaysia, The Return of an antisemite Prime Minister……. – The Tundra Tabloids……. 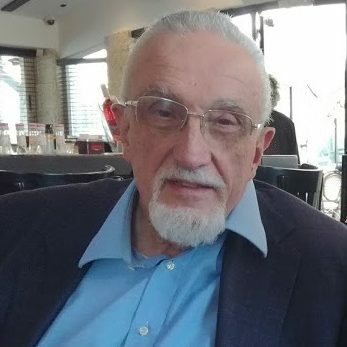 Dr.Gerstenfeld’s article: “Malaysia: The Return of an antisemite Prime Minister” was originally published by the Begin-Sadat Institute, and republished here with the author’s consent. Ninety two year old Mohamad Mahathir has come out of retirement to win the Malaysian parliamentary elections and become the country’s prime minister again. He has a long record of extreme antisemitic statements. One in particular stands out because it was made at a gathering of almost all Muslim countries. Both Mahathir’s statements and the international reactions to it are worthwhile to recall. They provide much insight into what has happened since that time to both Muslim states and communities as well as the complex attitudes of Western democracies to them. In October 2003 in Putrajaya, Malaysia, the Tenth Summit of the Organization of the Islamic Cooperation (IOC) took place. It was attended by leaders of 57 countries. Mahathir, who was then Prime Minister of Malaysia, attacked the Jewish people and the West in his welcoming speech. Mahathir went on: “We are up against a people who think. They survived 2000 years of pogroms not by hitting back, but by thinking. They invented and successfully promoted socialism, communism, human rights and democracy so that persecuting them would appear to be wrong and they may enjoy equal rights with others. With these they have now gained control of the most powerful countries and this tiny community, has become a world power. We cannot fight them through brawn alone. We must use our brains also.”1 The essence of Mahathir’s speech is a mutation of the extreme antisemitic Tsarist fallacy The Protocols of the Elders of Zion. Referring to the West, Mahathir said, “We are all Muslims. We are all oppressed. We are all being humiliated. We control 50 out of the 180 countries in the world.” One recognizes here the mythology of the widespread Muslim victim culture. Many Muslim inhabitants of oil-rich countries are extremely well off. If part of the Muslims there are humiliated, this is done by other Muslims. Worse even, in the past decades hundreds of thousands of Muslims have been murdered by other Muslims partly in wars between Muslim countries. The Iraq-Iran war of the 1980s is one example. Furthermore many hundred of thousands have died in civil strife. This is the ongoing reality in Syria. Despite their checkered past toward Jews, the Europeans could not reach unanimity for a strong condemnation. French center-right President Jacques Chirac opposed these words and so did socialist Greek Prime Minister Costas Simitis. This despite the fact that Mahathir had undertaken an all-out attack on all Jews with no protests from the leaders of the Muslim countries. It was thereupon decided that the Italian president of the Council of the European Union would put a statement on its website. It said there that the EU “deplored the comments made by President Mahathir.” It also said: “Such words hinder all our efforts to further inter-ethnic and religious harmony and have absolutely no place in a tolerant world.” This would be followed by years of weak European responses to extreme Muslim antisemitic incitement. Clear words were delivered from the United States. President George. W. Bush met Mahathir at the Asia Pacific Summit in Bangkok a few days later. He told him that his words were “wrong and divisive.” He added “It stands squarely against what I believe.” 4 5 Mahathir however denied that Bush had rebuked him. In 1997, Mahathir claimed his government was afraid the Jews were planning to destroy Malaysia’s economy as well as that of other Muslim countries. 7 At the 1999 Davos economic conference, Mahathir blamed the Jewish connection for Asia’s economic problems. The most extreme inciters against Jews and Israel have for a long time now come out of the Muslim world. If one has to demonstrate this with a single example, Mahathir’s 2003 speech and the applause he gained from the political leaders of the Muslim countries there fits this bill best. Previous Post Previous Post Once again a ‘hudna’ being proposed between the Islamonazi Hamas and Israel……. Next Post Next Post Trump-N.Korea Summit Shutdown, Democrats gloat…….